and also make smart earnings with Qoo10 Affiliate Program. A Curator is a shopping specialist who runs a shopping gallery and/or live square to build fellow community and shares shopping information and knowledge with them. A Shopping Curator is an open store, built by a curator in collaboration with fellows, that showcases the curator's or other seller's products. This provides a convenient and powerful platform (called ShoppingTalk) for content creation and sharing. 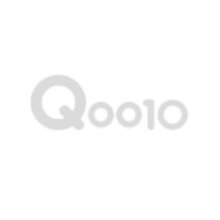 Qoo10 member can get rewards on Qoo10 Affiliate Program. Qoo10 Affiliate Program rewards up to 22% of sales price of products when shopping occurs through Curator’s share and gallery listing. Qoo10 Affiliate Sales Champion for this month! 클릭 한번으로 해외 인기 상품을 내손에!!! 일본여행 가지않아도 한국에서 살수있다!!! 일본여행시 꼭 구입하는 제품 큐텐에서 직구하기!! DeTOX Health-Kit – 3-Days Detox Diet Programme - Lose up to 3kg in 3 days! ❤WHITE HOLIC 50ML/100ML❤INSTANT FAIRER LASTING SKIN❤NON CLOGGING-NON OILY- BASE MAKEUP-GOODBYE DARK UNEVEN SKIN TONE!! If you are a shopping curator, share Qoo10’s Page on your SNS, get the more reward!